Did you know the average landing page conversion rate is around 2.35%? While the top 25% of sites are converting at 5.31% and above, the top 10% are enjoying conversions at 11.45% and above. Any good marketer knows that these average conversion rates can vary wildly depending on the type of industry you belong to. However, it can’t be denied that landing pages are one of the most significant metrics to gauge the performance of your marketing efforts. 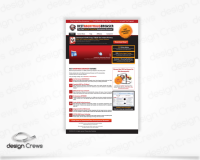 We at Design Crews can create attractive and relevant landing pages for your business to get more sales, leads, and signups from paid campaigns without putting a strain on your marketing budget. Why Choose Our Landing Page Design Services? We create tailor-made landing pages keeping your products in mind to deliver results that are as unique as your business. 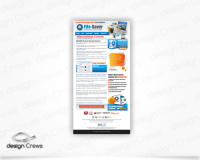 Our team of efficient designers and developers do thorough research before they design. We highly value the functionality and usability of the landing pages we develop, and you can see it reflected in our work. We use the right keywords to target pages. We optimise pages for fast loading and making them user-friendly. We ensure that the text copy is simple and high converting. We eliminate any unnecessary links or distractions from the website which can act as a hindrance in your business’ growth. We offer training sessions so you can manage your site most effectively. We give preference to an impactful call to action line that can compel your visitors to become leads and ultimately boost your revenue. • AI-powered templates to empower your marketing efforts – You can choose from over 100+ conversion-focused templates that have been created by our team using AI analysis. • Responsive Designs – With years of experience in the industry, we have developed the expertise to build web pages using flexible layouts and images that allow the users to navigate easily. • Planned Architecture – Our team of expert designers can create industry-specific landing pages by using proper URLs and sitemaps to make the site SEO-friendly. 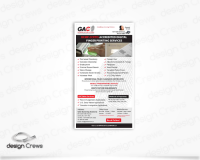 • Campaign-specific landing pages – We can build campaign-specific landing pages without the need to code or add anything to your website. If you need our services, you can get in touch with us. Our team will revert at the earliest to discuss the project with you.